If you're planning a vacation to Miami, you'll certainly want to know how the weather will affect your plans. The good news is that Miami has perhaps the most consistent temperatures in the Sunshine State with highs in the 70s and 80s throughout the year and lows in the 60s and 70s. The bad news is that the city also has one of the highest amounts of rainfall in the United States, with an annual average total of over 50 inches. Most of that occurs from mid-May through early October. If you want to beat the Florida heat when visiting Miami, avoid the month of August. It is typically the warmest month with temperatures hitting the high 80s and low 90s. January is the coolest month; but, although temperatures can take a plunge below average, they seldom dip below freezing. Miami's cultural diversity, status among celebrities and its seen-and-be-seen scene makes packing for your vacation a little different than in the rest of the state. Although you will see the typical shorts, tank tops and flip flops along the beach, if you want to fit in around town you'll need to dress up a bit. This is particularly true when dining out. Dresses accessorized with heels for women and nice slacks, button-down shirts and shined dress shoes for men are the norm. In fact, Miami is all about the dress-to-impress scene. Latin influences call for bold colors and tropical prints, but wear sheer and natural fabrics that will help keep you cool in the humid, hot months. Of course, skin is in... the more you show the better. Also, stand out by accessorizing with big, bold and sparkly jewelry and wardrobe accents. 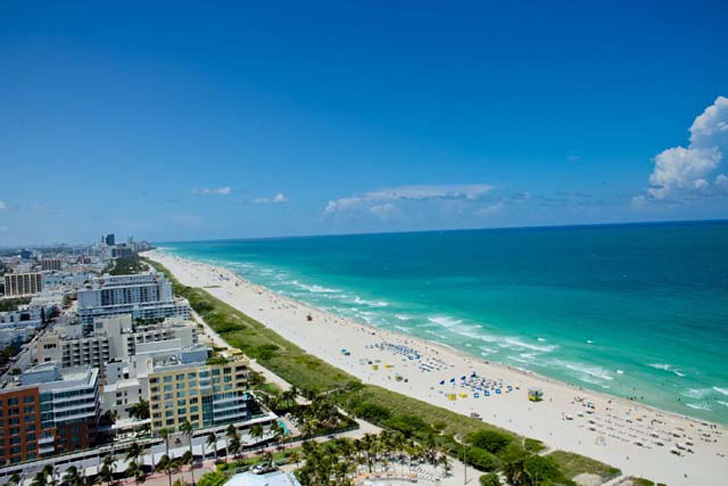 Finally, don't forget your bathing suit... it's a necessity when dressing for Miami. If you'll be taking a cruise out of the Port of Miami you should keep an eye on the tropics during the Atlantic hurricane season that runs from June 1 through November 30. Even if Miami isn't in the direct path of a storm, a ship's itinerary may change due to the weather forecast. Whether you'll be setting sail or staying a few days in Miami, it's important to know about these tips for traveling during hurricane season, particularly hurricane guarantees.